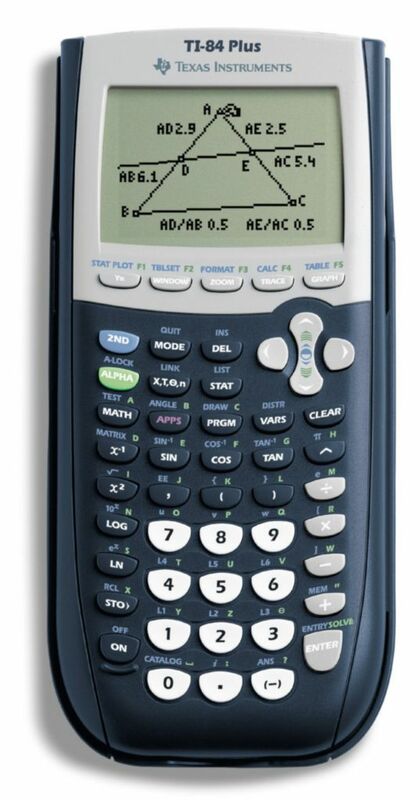 The TI-84 Plus features 480 KB FLASH ROM memory for data archive and storage of Apps, 24KB of RAM, USB port for computer connectivity, and 8-line by 16-character display. Real and complex numbers can be calculated to 14-digit accuracy and displayed with 10 digits plus a 2-digit exponent. Graphs 10 rectangular functions, 6 parametric expressions, 6 polar expressions, and 3 recursively-defined sequences. 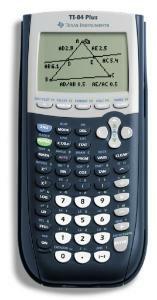 Allows for interactive analysis of function values, roots, maximums, minimums, integrals, and derivatives. Matrix operations including inverse, determinant, transpose, augment, reduced row echelon form, and elementary row operations. Convert matrices to lists and vice-versa. Provides 7 different graph styles for differentiating the look of each graph drawn. Business functions including Time-Value-of-Money (TVM), cash flows, and amortization. Full screen interactive editor for solving TVM problems. Powered by 4 AAA batteries with a Silver Oxide battery backup to protect RAM memory during main battery change. Comes with Impact-resistant slide case. 1-year limited warranty.